In just a few days, a great classic work of fiction is having a birthday. On January 1st, 1818, Mary Shelley published Frankenstein; or The Modern Prometheus. Ever since I was forced to read it in high school, I've really enjoyed it. Yes, forced, because I hated many of the classics I was made to read. I usually hated the ones people loved and loved the ones people hated. Among my favorites were A Brave New World, Lord of the Flies, and, of course, Frankenstein. It's been years since I read it last, and I've had a great time diving in again, though it's taken me awhile, because, y'know, life. But something incredibly inspiring stuck out to me this time, as a writer, and I wanted to share it with you. If it's been awhile since you've read it, or if you've never read it, allow me to catch you up. If you're worried about spoilers, you've had like 200 years, c'mon, catch up. You also probably know the gist of the tale: a young doctor named Victor Frankenstein decides he wants to create life, and after a couple years of study and some really icky things, he does. But when Frankenstein's creation takes his first breath, the doctor observes the terror he has created and abandons the monster. The poor creature is then left to fend for himself with no knowledge of the world around him in the dead of winter. Any human the creature encounters meets him with rage, paranoia, terror, and hatred. So basically, Mary Shelley predicted Twitter. Unable to find solace among people, and indeed ignorant of all human speech and personhood, he retreats to what amounts to an abandoned pigpen and lives for more than a year in these cramped quarters. The pen is attached to the back of a small cottage in which a small family lives as refugees from a past injustice. Through a crevice in the wall, the monster can observe the family and begins to feel compassion for the world of men and learns much about how people interact. Over time, he begins to learn the fundamentals of language, both spoken and written, from the inhabitants of the cottage, a family called DeLacey. A pivotal moment in the development of the creature comes from his discovery of a satchel containing three books. Though the narrative doesn't dwell here long, we get to look into a very cool moment as the creature is reading for the first time. He begins to see more about how the world works around him. He begins to see how his own world is laid out geographically and politically. Through his reading, he is able to discover more about the world in which he lives than he ever could by hiding in a pigpen. The creature is able to see new places and make new discoveries and inform and develop his own identity and humanity. Books are important. If you're reading this, it probably takes very little convincing on my part, but books are important. Reading is an invaluable way to grow and learn and develop. Frankenstein's monster provides a great illustration of this point: a basis for his entire identity and view of humanity is bound in the three books he discovers. It is our responsibility as writers to represent the worlds in our heads with integrity and great care, as we never know who we may inspire. We have a duty, as writers, to the craft and to the painting of detailed word-pictures that can manifest worlds in the minds of our readers. Created monsters looking for identity don't exist, but we can never know who may be seeking humanity in our work. Take care then, writer, to create with detail and conviction and so do justice to the worlds you mold for the readers looking to be lost. The relatively unknown subtitle for Frankenstein is The Modern Prometheus. In Greek mythology, Prometheus was a mischevious Titan, credited with creating mankind. This is, no doubt, what Mary Shelley had in mind with the subtitle, as our protagonist creates sentient life, seemingly from nothing, thus, The Modern Prometheus. I think today there can be a deeper meaning, however. In the mythos, Prometheus is credited with a few other notable feats. He is the Titan who stole fire from the gods and gave it to mankind. As an extension of this, Prometheus is credited with giving mankind the means to make civilizations. According to the mythology, Prometheus made the way for progress for all mankind. We authors in many ways are a modern Prometheus. For one, we give life to characters who will have never seen the light of day. We are creatives, molding worlds and sharing them with others. We are capable of giving others a fire of inspiration that creates a pathway for progress. We can be the catalyst for civility where none before may exist. We can cause others to think, grow, compliment and aspire to more. We have a responsibility to the craft, to creativity, and to readers. No, monsters do not exist, but there are millions of readers out there waiting to dream, and it is we, authors, who can guide these dreams. We can inform, inspire, and captivate—we must only take the time. So write on, writer. And happy 200th birthday to Frankenstein. 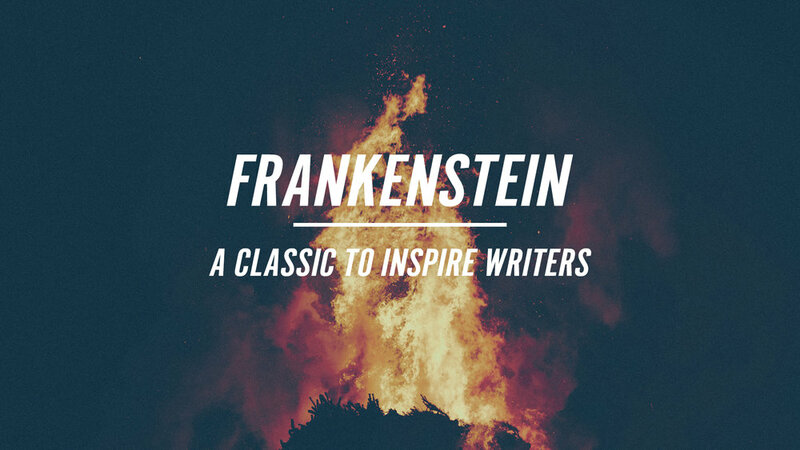 Frankenstein is super cheap for Kindle! Snag a copy today and see what inspired me.